Bach’s Christmas Oratorio was originally performed as six separate cantatas on the major feast days of the Christmas Day, starting on 25 December. Unlike present day marketing operations and shops, Christmas in Lutheran Leipzig started on Christmas Day, not sometime in late-October. The first three cantatas were performed on the successive days, 25, 26, and 27 December 1734, with performances in both the Thomaskirche and Nicolaikirche. The last three cantatas were performed on 1, 2, and 6 January 1735, again with performances in both churches (with the exception of Part 3 and 5, which were only performed at the Nicolaikirche). Notwithstanding the separate nature of the six cantatas, Bach clearly saw them as a unified whole, grouping them together under the single title of Weihnachts-Oratorium, and giving the whole set a logical key structure and theme development. As in many of his major works, Bach borrowed from his previous compositions (including three entirely secular cantatas), making for fascinating thoughts about the creation of a religious masterpiece balanced against the practical considerations of coming up with so many cantatas in such a short space of time and Bach’s allocating of religious texts to music composed for secular purposes. It is a shock to realise that, despite the importance that this work apparently meant to Bach, the Christmas Oratorio was not performed again until 1857. Shorn of the setting of a Lutheran service in wintry Leipzig, present day performances are inevitably compromises. The Orchestra of the Age of Enlightenment came up with the sensible plan of splitting the piece over two successive evenings, leaving space on each evening to insert a contrasting piece, starting with Parts 1-3 contrasted with the jubilant motet Singet dem Herrn. 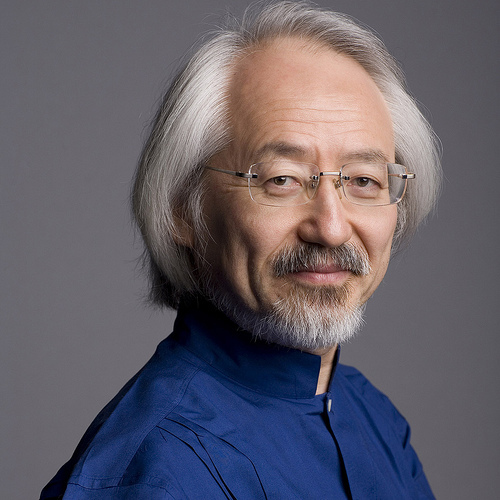 They were directed by the Japanese Bach specialist Masaaki Suzuki, founder of the Bach Collegium Japan, making a welcome debut with the OAE. The orchestral leader was the Canadian violinist Julia Wedman, leader of Tafelmusik Baroque Orchestra, and (presumably, but not mentioned) making a guest appearance in place of one of the usual OAE leaders. It is always interesting to watch the expert OAE musicians working with their guest conductors. Some clearly lift them to inspired heights, others tend to switch them into automatic-pilot mode. Masaaki Suzuki is from a rather different mold than most of the OAE players, but nonetheless seemed to lift them to inspired heights. His careful and detailed conducting (which included directing the recitatives) perhaps didn’t always allow the OAE the free reign it sometimes seem to relish, but they certainly adapted well to his style, not least the infectious joy and swing of it all. Of course, most of Bach’s music can be directly linked to dance forms, and this was the key message of Suzuki’s interpretation. The 16-strong choir included the four soloists, who moved to the front for their solo moments. Anna Dennis had a limited role as soprano soloist, but her clear voice was certainly noticed. Robin Blaze demonstrated why he is Suzuki’s go-to countertenor, his gently unforced and focused voice being an ideal vehicle for Bach’s melodic lines, notably in the Part 2 lullaby, Schlafe, mein Liebster, with its long held opening note. Jeremy Budd had the key role of The Evangelist, his lyrical tenor voice portraying the story most effectively. Baritone Ashley Riches brought gravitas to his solos. The chorus was spot on, with an impressive consort sound. Their performance of Singet dem Herrn was outstanding, although the addition of a full orchestral accompaniment of strings, four oboes and bassoon was an unusual decision from Suzuki. Among the instrumentalists, special mention must go to guest leader Julia Wedman for her outstanding violin solo in the Part 3 aria Schlieβe, mein Herze, blending beautifully with Robin Blaze’s elegant voice. OAE regulars David Blackadder (trumpet) and Lisa Beznosiuk (flute) never fail to impress, and did so again, as did the four oboists, led by Katharina Spreckelsen and Alexandra Bellamy. There was some curious harpsichord continuo playing during the recitatives, with additional flourishes before the normal Bach-style phrase-end chords. I assume this was at least Suzuki-approved, if not encouraged, but it did sound rather curious and unfortunately drew attention away from the vocal line and text.